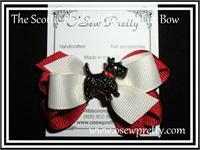 Just received our Scottie hair bow. "It matched her outfit perfectly"!
" Here fishy, fishy " What a fun way to start the summer. 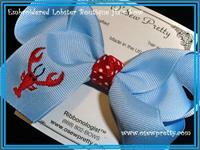 Dont forget to check out his other charmed friends, choose from Turtles, Ducks, Crabs, Lobsters just to name a few . 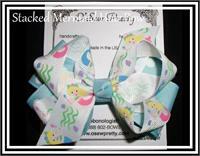 Choose from turtles, frogs or fish! The color combinations are endless. Wonderfully fun and festive, our stacked classic twist hair bows will add just the final touch. 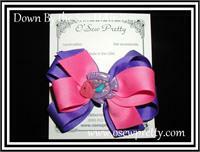 A stacked classic hair bow that you design to coordinate with her special outfit. 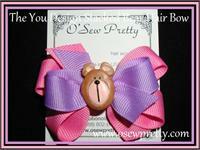 A stacked classic hair bow With Scottie Dog Charm that you design to coordinate with her special outfit. 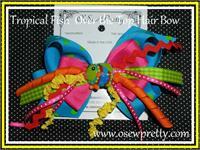 A "O' Sew Pretty Original" Made from an array of textures and bright tropical colors. The perfect match to all those fun summer outfits.